This customized Used VW Campervan for sale in Sydney is one of our used campervans for sale. We sell for example range of ex-rental and budget campervan conversions here in Sydney. For instance we build no-nonsense, durable campers especially full of functional features. Above all our campervans work well for travelling around Australia. Therefore call Shaun on 0421 101 021 to arrange a test drive. This here is a lovely example of a great Used VW Campervan for sale in Sydney. This has been especially made by Travelwheels used campervans for sale in Sydney Team. Inside this Campervan for example are two benches and a table in the lounge. From here it’s therefore super easy to convert into a comfy double bed quickly! On all the windows we have curtains by the way to keep you private at night! Another positive point here in this used campervan is the mini kitchen! In this case we have especially kept all the useful/practical things you need. We therefore removed all the non-essential items. This means you have a simple, strong (easy to clean) kitchen full of functional features! 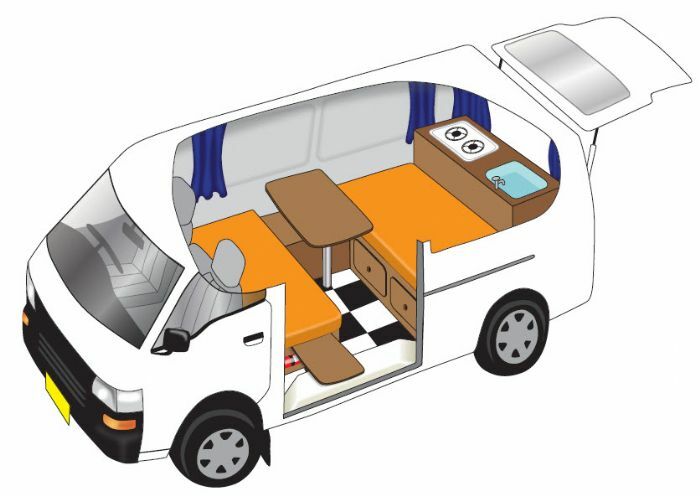 Here is a drawing of the style of kitchen we will build in this camper. Used VW Campervan for sale in Sydney – we build them! Travelwheels used campervans Sydney can especially build your dream campervan here in Australia! Furthermore we have made loads of custom campervans for sale in Sydney. Here is a list of some of the options we offer. 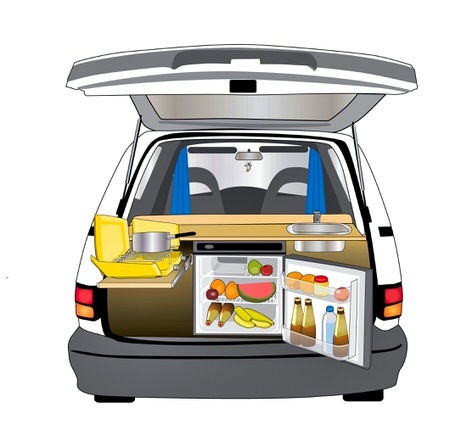 We can therefore add any of these items when we build a used VW Campervan for sale in Sydney. Saving money on accommodation by buying a campervan! Buying a used campervan and driving around Australia is so much fun! Another practical and positive point to especially note here is the money you will save! First of all and above all else accommodation here in Australia is super expensive! It can for example cost between $70 to $140 for a budget double room! You won’t need to worry about finding a hotel with this passion wagon! Therefore you will be living in your hotel on wheels! If you are planning on big road trip along the east cost of Australia, this is perfect for you! This VW camper will help you save a lot of money on accommodation! Contact us for more info on this used VW Campervan for sale in Sydney. Therefore email you questions here = [email protected]. If you are in Australia call us 0n 0421 101 021. If for example you’d like to have a look at this great campervan, pop over! Here is the address of our office at 11-15 Clevedon Street, Botany, 2019, Sydney.